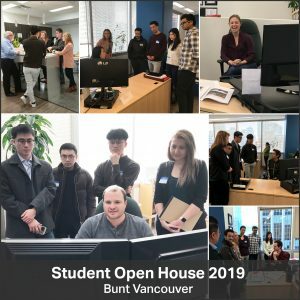 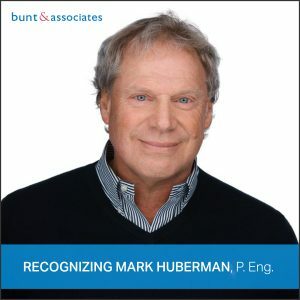 Bunt & Associates Engineering Ltd. (Bunt) is proud to recognize the incredible achievements and contributions of Mark Huberman, P.
Our Bunt Vancouver Team welcomed UBC and BCIT students to our office on March 1st. 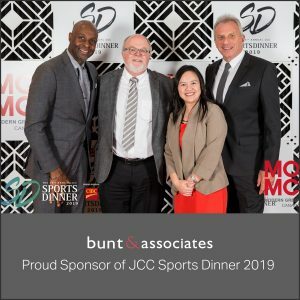 This was a great opportunity for several students whom we met at recent student/industry night events to get a glimpse into where their education may take them. 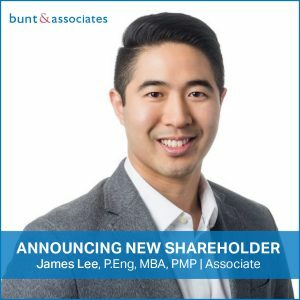 Bunt & Associates is pleased to announce that James Lee has been named an Associate of the firm.